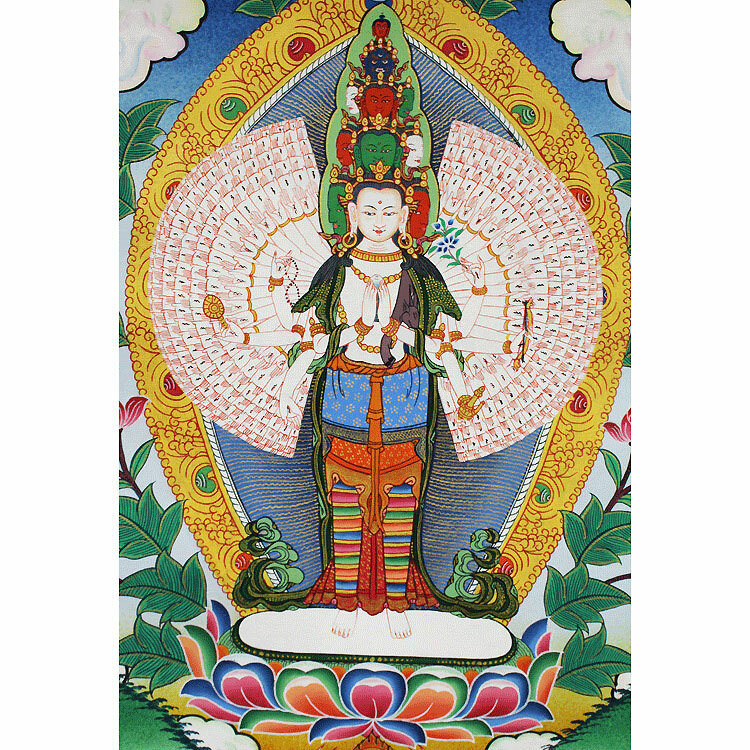 Chenrezig is the Buddha of Compassion. 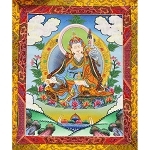 With 1,000 arms Chenrezig continuously and compassionately benefits sentient beings in whatever ways are needed. 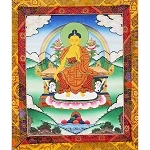 His Holiness the Dalai Lama is considered a manifestation of the Buddha of Compassion on Earth. 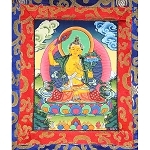 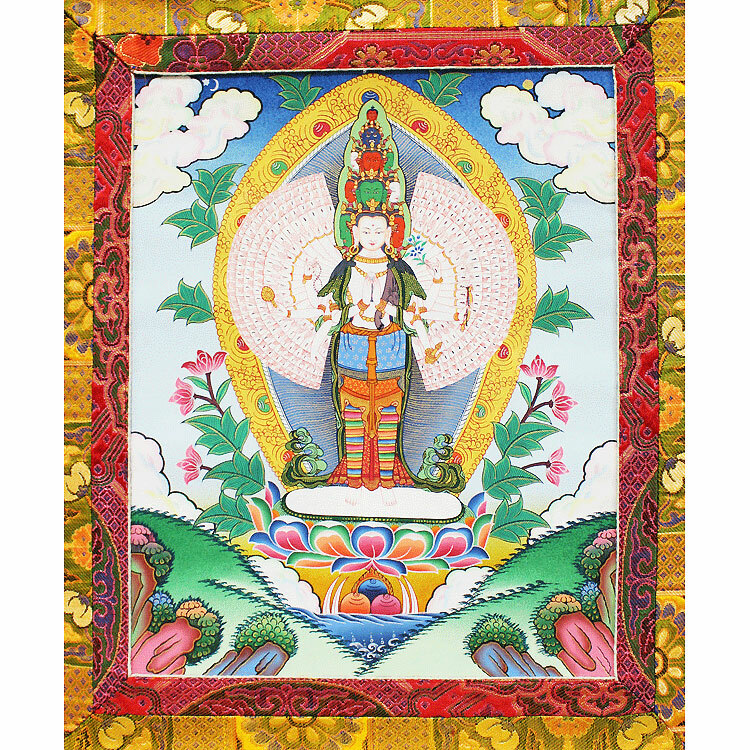 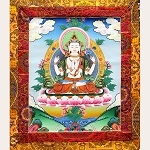 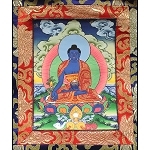 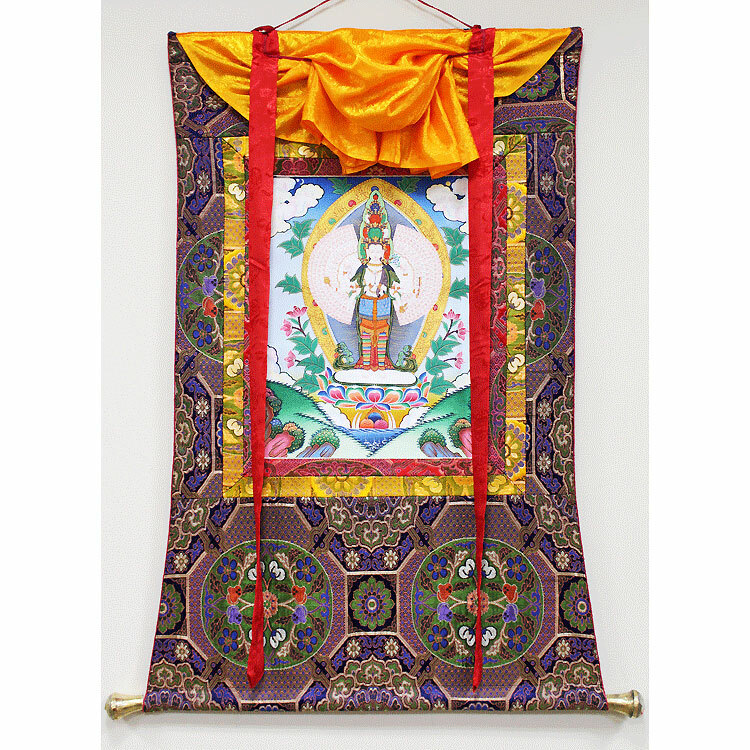 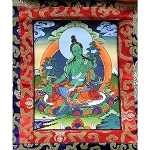 This wonderful thangka was painted by Nepali-Tibetan artisans in Nepal especially for The Foundation Store and incorporates very high-quality brocade.